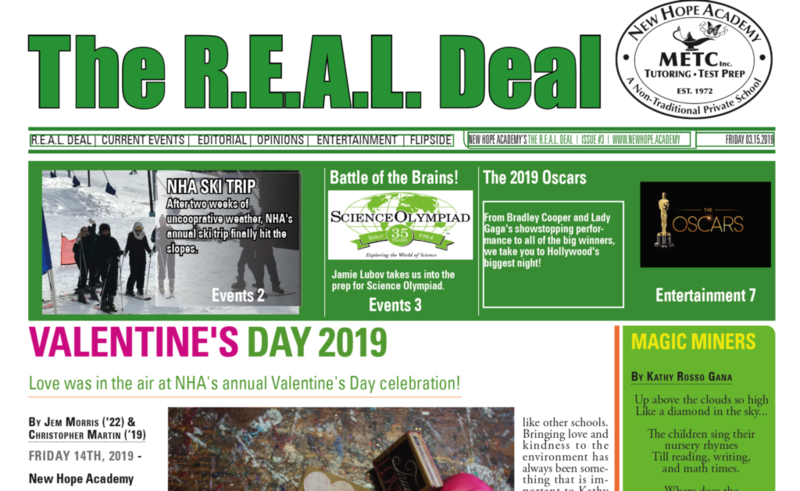 NHA’s student newspaper, The R.E.A.L. Deal released its third issue for the 2018/19 school year on Friday, March 15th. Editors Michael Riehl and Aria Lee led the newspaper staff from pitching stories, conducting interviews, writing articles, and finally layout and design. This issue features a cover story on Valentine’s Day, an article the NHA Ski Trip, a preview of NHA’s upcoming production of Chicago, plus reviews of music, movies, video games and much more!